Raw, ambient, and deeply emotive, NYA’s ‘Southland’ EP finds an artist coming into her own amidst that chaos that is Los Angeles, California. Close your eyes and picture yourself in Los Angeles. The sun beats heavily overhead, its rays shining brightly down on you below. There’s traffic on the 405, and it hasn’t rained in weeks. Moreover, everyone you meet seems to have stars in their eyes… They’re half-present, and half-absent – dreaming some fantasy life they’re convinced is within reach. People are talking, but they’re not saying anything. You know you’re part of this sea of endless faces, but you’re swimming against the tide. You’ve never been one to follow the pack – but how can you possibly stand out, when everyone stands out? Born out of the California desert heat, NYA’s Southland EP is a brief coming-of-age journey through the fog. 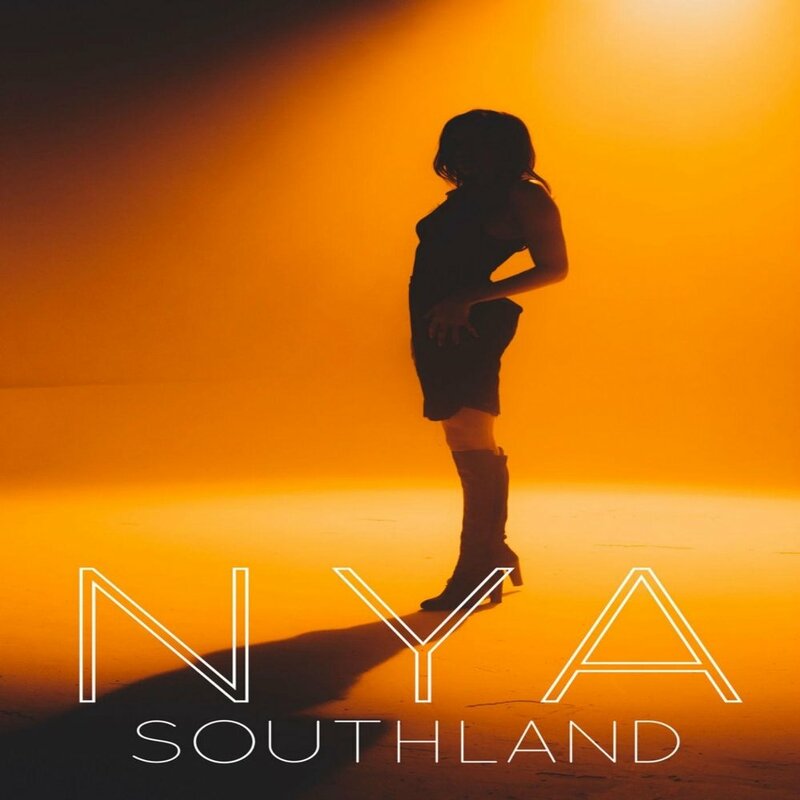 Atwood Magazine is proud to be premiering NYA’s sophomore EP Southland, independently out August 10, 2018. The followup to NYA’s 2017 debut EP Mania, Southland finds the 22-year-old singer/songwriter slowly coming into her own with a mesmerizing voice and ambient sound. Collaborating with producer and songwriter Danny “jodynl,” NYA embraces classic jazz and blue-eyed soul elements while baking them in a lush bath of modern production and electronic techniques. What results is a modern-day soulstress with fire and depth, raw intimacy and and polished poise. Though only three songs long and spanning less than ten minutes, Southland proves a transcendent, albeit brief listening experience. Taking its title after one of Los Angeles’ more obscure nicknames, the record has been self-described as “a diary about a girl discovering herself in the jungle that is LA.” In three dazzling tracks, NYA invites us to dwell in love, wanderlust, and passion; to lose ourselves and find ourselves all at once. Though dark and dreamy, neither Southland nor NYA is as distanced from the subject matter as her music suggests; in fact, quite the contrary. “Shallow,” “Hollywood Hills,” and “For Your Love” all find NYA deep in the thick of life experience. Waxing poetic, the artist’s lyrics shroud her songs in ethereal mystery, but a closer listen reveals how intimately and intensely she relates to every word. Originally from Florida and now splitting her time between New York and Los Angeles – two coastal empires, and opposites at that – it’s a wonder the 22-year-old has managed to find a foothold, let alone keep herself afloat in the chaos. Listening to Southland, we begin to understand how a young artist develops and matures; there’s a sense of innocence lost and knowledge gained that permeates NYA’s new music. While the artist seems to be still very much in a state of transition, these three tracks offer the perfect introduction to a promising chapter in a still-burgeoning artistry. Raw, ambient, and deeply emotive, NYA’s Southland EP finds an artist coming into her own amidst that chaos that is Southern California. Stream it exclusively on Atwood Magazine, and connect with NYA via the socials below!